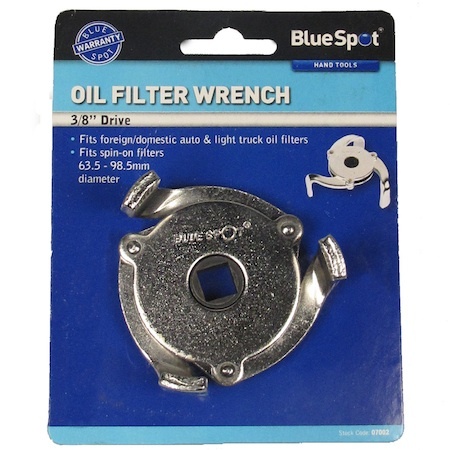 An extremely practical oil filter wrench from Blue Spot Tools. 3/8'' Drive. This oil filter removal tool fits both foreign and domestic automotive and light truck oil filters. Also fits spin-on filters. 63.5 - 98.5mm diameter. A perfect automotive essential from Blue Spot Tools.